Mr. C. David Campbell helped launch the Michigan Community Foundations' Youth Project as one of the first youth advisers for the Community Foundation of Southeastern Michigan. Over the course of his career, he was engaged in the creation, development, and mentoring of a number of philanthropy projects including serving as a founding board member for the national launch of Learning to Give. 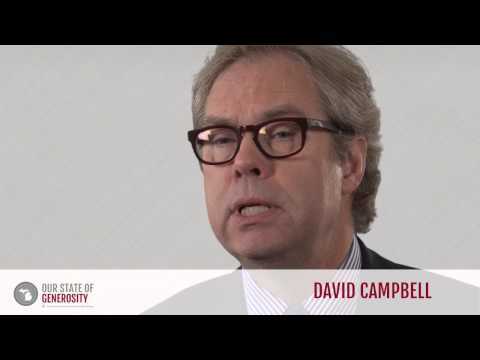 In his role as president and CEO of the McGregor Fund, Mr. Campbell provided ongoing leadership in a number of volunteer and board roles with Michigan infrastructure organizations, including service as chair of the Council of Michigan Foundations’ board of trustees. 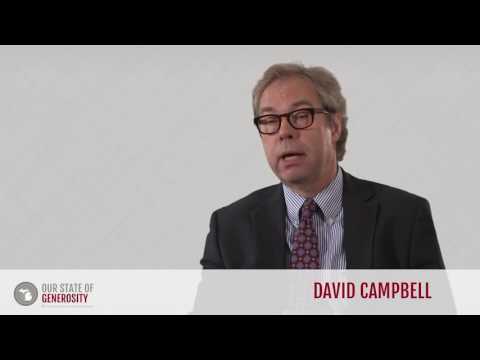 Mr. David Campbell talks about his career in philanthropy. Mr. David Campbell talks about Dottie Johnson's incredible leadership. 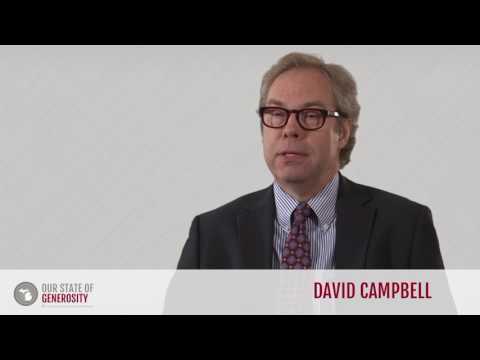 Mr. David Campbell talks about how fearless leadership allowed for the success of the New Economy Initiative. Mr. David Campbell talks about attending a youth retreat and watching the students get to know one another and share their stories. Mr. David Campbell talks about how serving on a Youth Advisory Committee can impact a young person's life. Mr. David Campbell talks about how effecting change takes more than money alone, but also great people with great ideas. 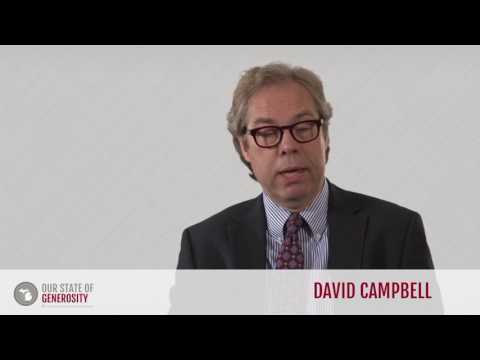 Mr. David Campbell talks about how a nonpartisan stance toward common good and trips to Washington strengthened Michigan's philanthropic sector. Mr. David talks about the development of the Michigan's Office of Foundation Liaison. Mr. David Campbell talks about how CMF worked well because they focused on the big picture rather than individual interests. Mr. David Campbell talks about how Michigan's philanthropic success stems from fearlessness on the part of leaders like Russ Mawby and Dottie Johnson. Mr. David Campbell talks about how effective leadership comes in many styles. 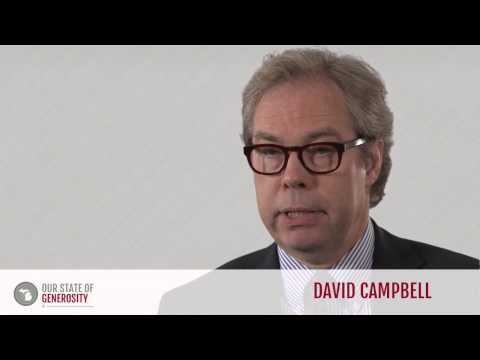 Mr. David Campbell talks about how philanthropic conferences provide opportunities to share commonly held ideas. 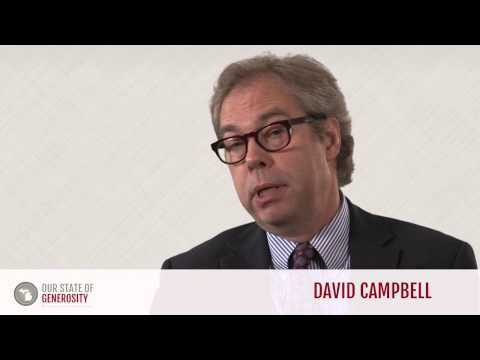 Mr. David Campbell talks about Russ Mawby's incredible leadership. 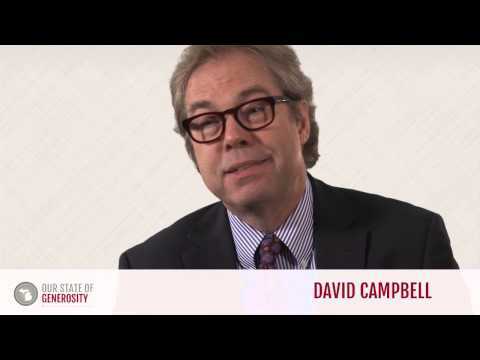 Mr. C. David Campbell earned a Master of Arts degree from Central Michigan University. He graduated in 1975 from Alma College with a Bachelor of Arts degree. Mr. Campbell cited his first experience with philanthropy as his involvement in his church’s youth ministry while growing up in Midland, Michigan. After that, his interest in philanthropy was further spurred during the time he spent working with college youth as a student affairs administrator at Alma College and the College of Creative Studies in Detroit. During this time, he began working not only with student organizations on campus but also within the Detroit community. Based on his involvement in the community, he was appointed to the Citizen’s District Council by former Detroit mayor, Coleman Young. This appointment was his first experience serving in a nonprofit leadership capacity. 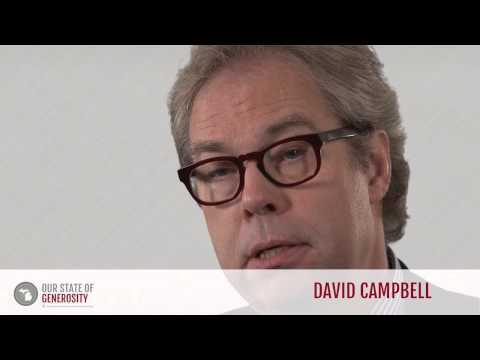 Beginning in 1986, Mr. Campbell served as the first program officer for the newly organized Community Foundation for Southeastern Michigan (CFSEM) and later as their vice president of programs. CFSEM is the largest community foundation (as measured by assets) in the state, serving seven of Michigan’s most populous counties. During his time at CFSEM, Mr. Campbell was one of the first community foundation program officers to implement the Michigan Community Foundations’ Youth Project—a matching grant challenge that provided up to $1 million for Michigan community foundations if they raised matching private funds, as well as implemented a Youth Advisory Committee (YAC). He spearheaded the task of shaping what a YAC would be. For example, how would youth be recruited, how would it be organized, and how would it function? Mr. Campbell’s first YAC became a model throughout the state. Mr. Campbell also played a critical role in establishing the Office of Foundation Liaison (OFL) in the state of Michigan. This office fulfills an essential role in the state government, helping educate state politicians about the role and needs of Michigan philanthropic entities and how public policy affects them. Mr. Campbell, together with David Egner, CEO of the Hudson-Weber Foundation in Detroit, was inspired to start such on office on a state government level after observing the success of the new Office of Foundation Liaison’s office within former mayor of Detroit, Dennis Archer’s cabinet. “We were telling [Governor-elect Jennifer Granholm] … how helpful that had been for providing a forum for foundations and city government to sit down and talk to each other and look for areas where we could work together—and also make sure that we weren’t working at cross purposes, which could sometimes be the case,” said Mr. Campbell. With her encouragement, Mr. Campbell and Mr. Egner worked to raise funds from Michigan foundations to make the OFL possible. Mr. Campbell co-chaired the planning committee for LearnPhilanthropy, which was launched in 2010 with support from foundations across the nation. LearnPhilanthropy is an online hub of learning resources designed to help grantmakers of all kinds—staff, donors, trustees, volunteers—find and share resources, ideas and insights on best practices. As co-chair, Mr. Campbell shaped the vision for LearnPhilanthropy from its inception and helped build support across the field, providing critical leadership until LearnPhilanthropy found a permanent home at the Dorothy A. Johnson Center for Philanthropy. 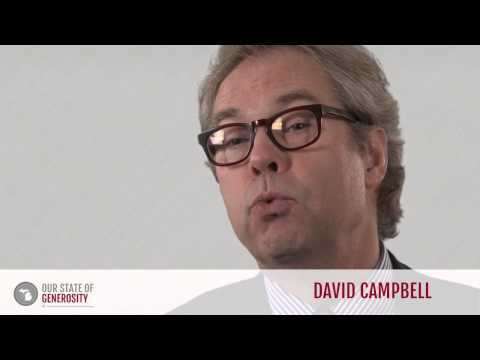 After his time at CFSEM, Mr. Campbell served as president and CEO of the McGregor Fund. He was a founding member of the Learning to Give national board, and continued to serve in these roles until his death in 2014 (1). In addition, he served on the Council of Foundation board (2004–2011) and the Council of Michigan Foundations board (1995–2004), including two years as its chair (2001–2003). 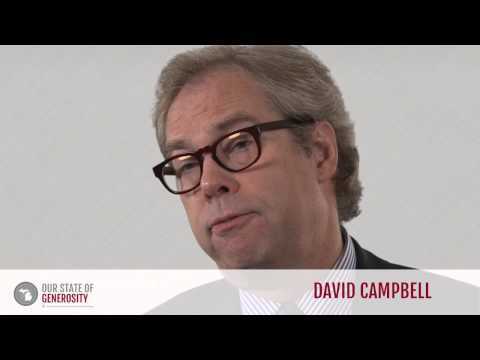 Mr. Campbell was interviewed regarding her insights and experiences in working with Michigan’s philanthropic community and the Our State of Generosity (OSoG) partners. The following are selected quotations from his interview specifically related to the five organizing themes of the OSoG project.